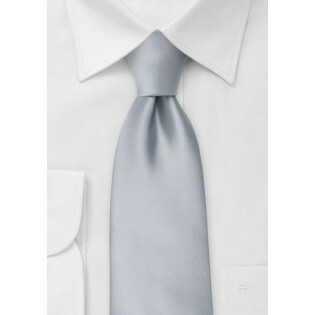 This silver tie is especially made for kids. The length of this tie of 47 inches will be perfect for boys between 4 and 5 feet, or up to the age of 10 years. If you are dressing your son up with suit and tie and want a formal accessory then this solid silver tie will be the perfect choice. 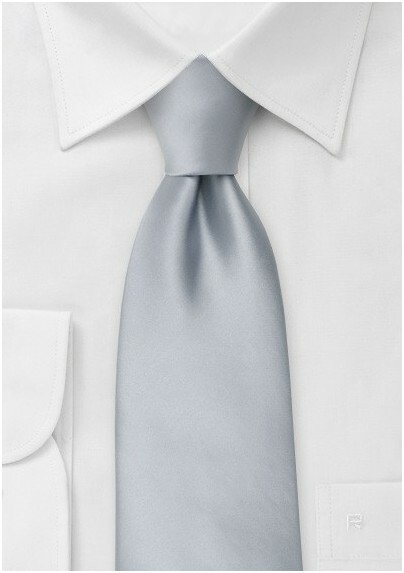 This silver tie is made from a fabric called microfiber. Microfiber looks and feels just like silk but is more resilient to stains. It is a perfect fabric for a boys tie.